We bring 'real' life faeries to your event. Eco Faeries love to get earthy singing about nature as they sling compost, meet with the mermaids, make mud pies and dancing like everyone is watching. An action packed faerie spectacle as faeries look for what it takes ​to become a real life hero. Dance, sing and find your most powerful Superhero pose. We might ask you to come on stage and join is too. The Original Superhero show was a hit at Perth and Adelaide Fringe and Fairbridge Festival in 2018. The ultimate singing and dancing show as we perform beautiful faerie songs along with high energy and fun dance moves. Children and adults delight in joining the faeries as they do what they do best- Shine Bright. Great for Street Festivals. Previously performed at Victoria Park Street Festival and Subiaco Street Festival. What can be more smellier than a pirate? A faerie of course!! This hilarious show is fun for all ages as the pirate and faerie battle out through funny banter, songs and dance. Splish Splash Faerie and Mermaid show. Get wet and wild as we take a splash to sea. Discover the magic of the ocean and what can we find beneath the waves? Turtles, dolphins, anemones and MERMAIDS! You'll meet a real life mermaid and find what we can do to be the 'voice for those than can not speak.' Performed at Little Feet Festival. 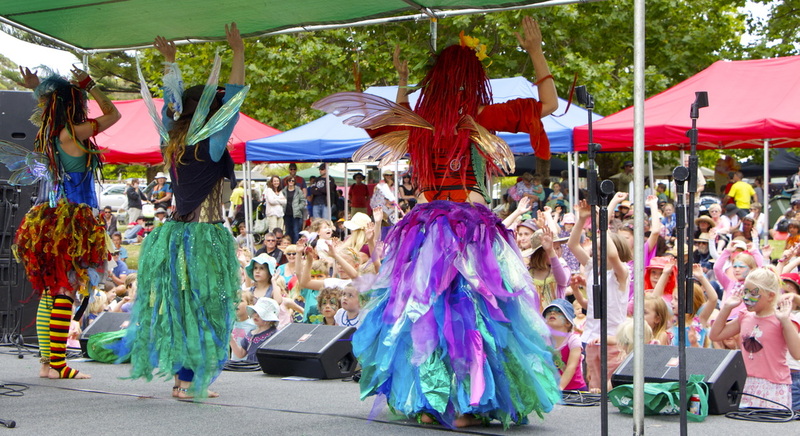 The Eco Faeries perform as either a duo or trio. You can choose whether you would prefer two or three performers for your event. All performers are highly passionate and trained professionals. The Show run time is 30-50 minutes depending on how long you'd like us to perform for. We carefully tailor each show to suit your needs, choosing the right songs to suit the event theme and crowd demographic. We provide our own radio headset microphones. These require three channels plus an output to play backing music. We have PA systems available for hire if required. Eco Faeries are highly trained and experienced entertainers who specialise in music, dance and theatre. Performers have come from different backgrounds from graduates at WAAPA, to a lifetime of experience working in performing arts. Eco Faeries share a passion for providing high quality entertainment with a solid message. The eco hero show combines a balance of entertainment with education. 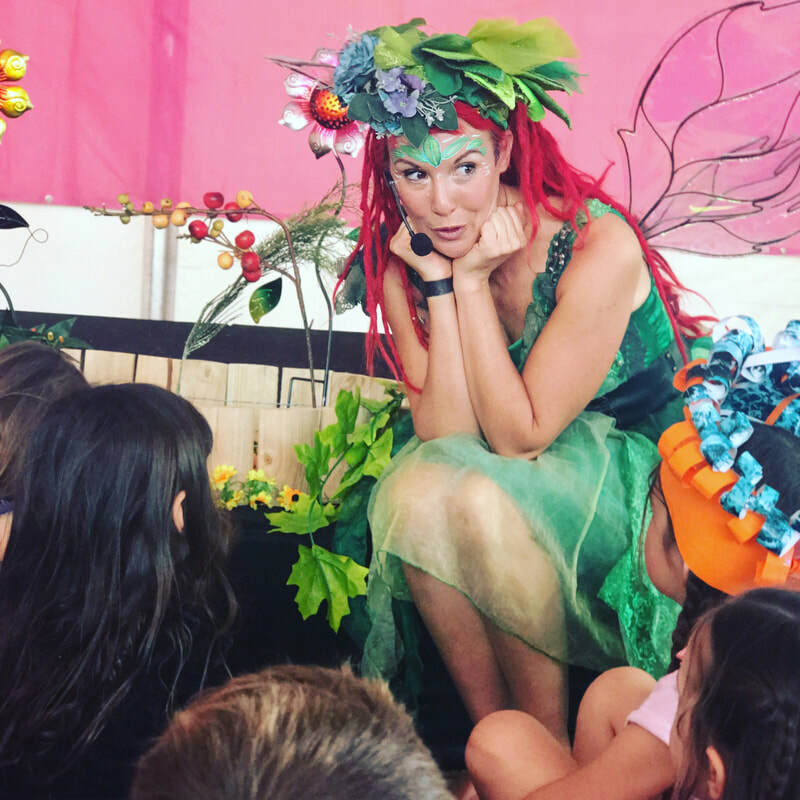 The show captivates it's audience with witty faerie fanatics and catchy songs, using the stage to reach families with simple to follow sustainability tips.